The advent of technology has rocketed us to an era where information is just a click away! We leave digital footprints everywhere we go! With the bank accounts and mobile data getting linked, we are surrounded by an invisible cloud which has more information about us than necessary. The digital world has ushered in plenty of benefits. However, the recent ransomware attacks make us ponder if our data is in safe hands. The last few years have seen several ransomware attacks threatening to delete the banking information as well as hospital records of patients. Therefore, a sense of fear of our data being misused by hackers prevail. Hackers are always in the news – creating havoc and panic and at times both. But who is a hacker? In simple words, a hacker is someone who accesses your computer/mobile/social media accounts without authorization. More often than not, the hacker makes the system or data unavailable. Hackers have a strong sense of programming knowledge which they use or misuse depending on the situation. The word hacker is mostly perceived in the negative sense – and the hacker steals personal information and data. But just like there are two sides of a coin – there are good hackers as well as bad hackers! Excited to know more? 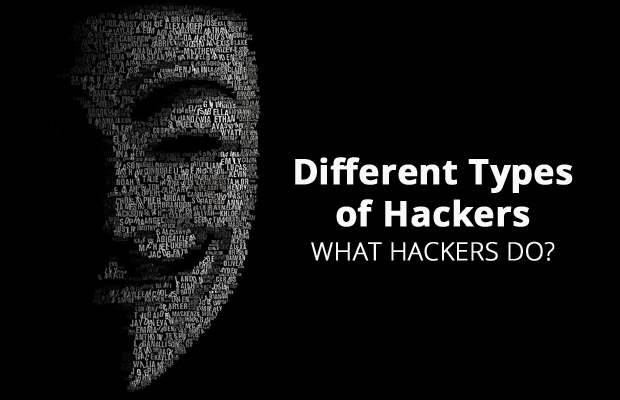 Read to know more about the different kinds of hackers! The bad boys of the hacking world, black hat hackers target companies to steal information or jeopardize their reputation. They steal money or data, credit card information and are connected with several fraudulent activities. They break into computers, network systems, and database information to steal or destroy data. They often target large companies. They are also known as crackers and are the infamous ones in the news. They use the data to ask for ransom or destroy it, causing inconvenience to a large majority. Cyber terrorists are Black Hat Hackers. They indulge in cyber terrorism – which is a deliberate the act of large-scale disruption of computer networks and personal systems. Side note: Social engineering can also get used by black hat hacker to fool the victim into installing malicious programs. The “ethical” hacker with the good image! play around with computers and software – they possess legal documents with limitations on what all changes they can do. The White Hat hackers are appointed by Government officials ornagencies and more often than not they are qualified in cybersecurity or related fields. A White Hat Hacker has deep knowledge in Network Protocol and System Administration and is a good programmer. 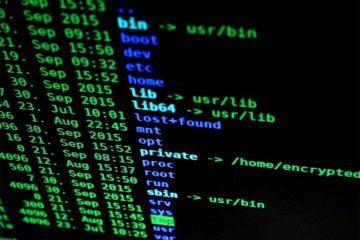 The White Hackers specialize in various testing methodologies such as penetration testing, checking the system security and the vulnerability of the computer system and the network. They are often paid employees or contractors for finding loopholes and security breaches of a company. A state-sponsored hacker is a White Hat Hacker appointed by the Government to penetrate and gain top secret information which is essential. They often destroy data if required to protect them State. Well, there are also amateurs on the block! A script kiddie is an unskilled individual who usually tries to execute scripts and programs written by others! They cannot create sophisticated programs to steal information and are usually juveniles. In case of script kiddies’, it’s more about the number of times they have caused havoc than the extent of damage done in a single attempt. They are not mainly into hacking into systems to steal information. They usually flood an IP with too much information till it collapses. This could be done by using an outdated software too many times or a failed attempt at programming by seeing YouTube videos. Now a Hacktivist has different motivations! A more politically inclined, an activist would cause damage to propagate a particular social cause which he/she believes in. They want to bring public attention to a political matter and use the same tools in heinous ways of a Black Hat Hacker. Hacktivism is a modern form of protest to the socio-political injustice done by savvy programmers. However, it is considered illegal. A hacker who tampers with both the telephone network as well as the computer lines is called a phracker. How is a phracker different from a phreaker? Well! People do hack telephone lines as well! A phreaker uses the telephone lines without authorization to make calls! The nerdy boy with thick-rimmed glasses always typing at the keyboard can also be a hacker! To protect your data by securing it with strong passwords. Log in only from reliable sources! And restrict giving access to confidential information such as banking details easily. A digital era is a good place be in if your data are secured wisely!